A prominent retail development in Solihull has been placed up for sale. 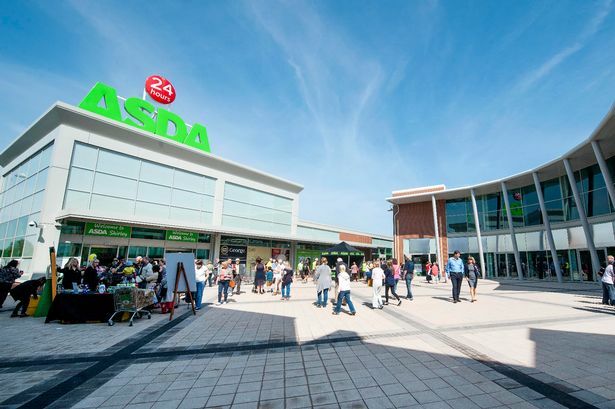 The £85 million Parkgate scheme in Shirley is being marketed by property consultancy Cushman & Wakefield after finally being completed two years ago although no price tag has been disclosed. The 195,000 sq ft complex in Stratford Road is anchored by an Asda supermarket and also counts Pizza Express, Poundland, Wetherspoon and Peacocks among its tenants. It became fully let just before Christmas when budget retailer B&M Stores, bridal-wear retailer shop Wed2B, estate and letting agency Belvoir and café chain Coffee#1 all agreed leases. Alongside the retail element of Parkgate, there are also 123 houses and apartments. The project was developed by Shirley Advance as a joint venture between Helical Retail and Coltham Developments, the same team behind the regeneration of the former Powergen site nearby. Ed Purcell, from Cushman & Wakefield&apos;s Birmingham-based retail team, said fully letting Parkgate had been a great achievement. He said: "After five years of development, marketing and leasing advice, Parkgate Shopping Centre is now fully let. "Thirty lettings have been achieved with a total floor space of 80,000 sq ft. This shows fantastic perseverance in a challenging market, and great cross selling between departments."